Britain's pensions lifeboat is fighting to receive a bigger payout from a restructuring of the engineering arm of Monarch, the airline which collapsed into bankruptcy last year. Sky News has learnt that the Pension Protection Fund (PPF (Shenzhen: 300258.SZ - news) ) plans to vote in support of a company voluntary arrangement (CVA) proposal at a meeting of Monarch Aircraft Enginering's (MAEL) creditors on Friday, subject to the amendment of a proposed dividend. The PPF, which is owed £7.5m by MAEL, accounting for roughly 7% of the vote, is understood to be pushing for a dividend of 4.3p in the pound, equating to a payout of just over £100,000. That compares to a proposal in the CVA documents to pay unconnected creditors 0.61p in the pound, according to insiders. MAEL employs more than 800 people and provides critical services to Britain's aviation sector, working with airlines including Cathay Pacific, easyJet, Norwegian, Virgin Atlantic and Wizz. Although the PPF does not hold enough influence to swing the vote by itself, it hopes other creditors will support the prospective amendment. Greybull Capital, the former owner of Monarch Airlines, Boeing (NYSE: BA - news) and the Civil Aviation Authority (CAA), MAEL's largest creditors, have all agreed to support the existing proposal. Stephenson Harwood, the law firm, is advising the PPF, City sources said on Thursday. If successful, the higher payout would see the PPF receiving the same dividend ratio as the CAA, which oversees the Air Travel Trust (ATT), the body that helps to meet the cost of refunds and repatriation when ATOL licence-holders go bust. 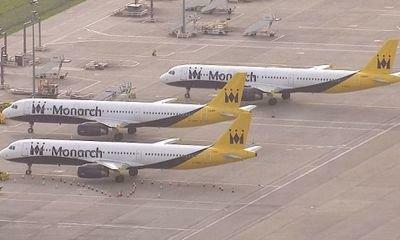 The aviation regulator is thought to have been left about £15m out of pocket after Monarch's debts were transferred to the engineering subsidiary. Greybull is thought to be injecting more than £5m into MAEL to help restructure it, and will emerge from the CVA as the majority shareholder in the business. The CAA is also expected to own a smaller stake. In a statement, a spokesman for MAEL said the proposals were "being put to the company's creditors to enable MAEL to reduce its levels of debt, much of it incurred as part of cross-company liabilities it inherited when it was previously part of The Monarch Group". The spokesman went on: "Acceptance of the proposals by the company's creditors will allow MAEL to establish a solid platform for growth and a long term strategy that will see the company create more jobs and greater value for its supplier partners." MAEL has also been facing the threat of action from Her Majesty's Revenue & Customs (HMRC) over an unpaid tax bill, although it was unclear what its position was in relation to the CVA proposals. The collapse of Monarch last year left more than 100,000 Britons stranded across Europe and in need of the biggest repatriation exercise since the Second World War. The PPF declined to comment.